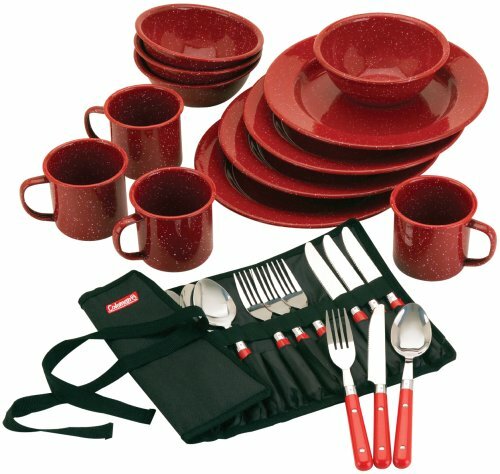 Serve up your favourite meals across the campfire or transportable range with the Coleman 24-Piece Enamel Dinnerware Set. 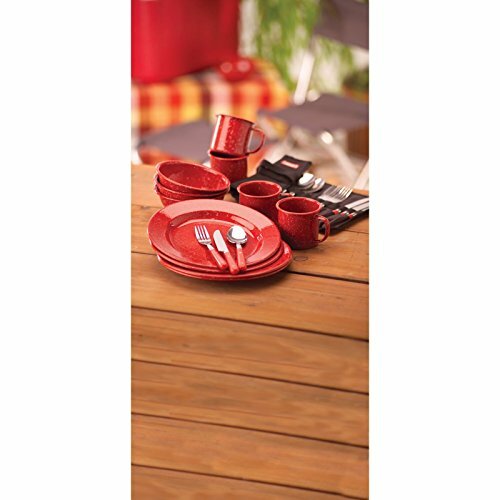 Manufactured from double-fired enamel and that includes a timeless pink speckled design, this outside dinnerware set presents basic fashion and sturdiness and is dishwasher protected for simple cleansing. 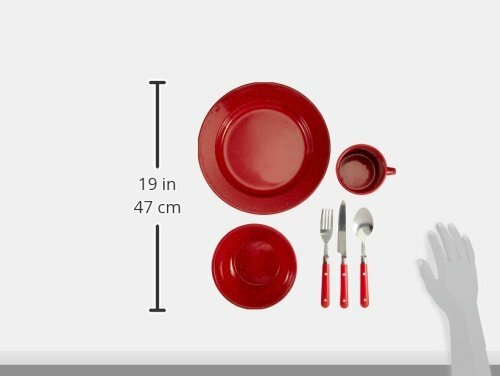 This 24-piece set contains 4 10-inch dinner plates, 4 12-ounce espresso mugs with handles, and 4 6-inch bowls, making it an amazing selection for household meals at picnics, BBQs, and campsites. It additionally features a silverware equipment with 4 plastic-handled forks, spoons, and knives saved in a handy roll-up pouch for simple group and storage.